The February 23 story compared recent sales prices of 50 of the county’s most expensive buildings to the taxable value set by the assessor’s office. The analysis found the average building assessed at about 46% of its selling price. One example of these so-called “trophy” buildings is the Aon Center, an 83-story office tower near Chicago’s Millennium Park, which sold for $712 million 2015. The assessor’s office, Crain’s reported, valued the property at $356.4 million. A spokesman for the assessor’s office said the office relies heavily on the amount of income a building generates. Sales prices, he argued, are not a good measure of current value because they often represent a buyer’s feelings about the potential value of a building. For homeowners, the news adds more fuel to the argument for appealing your property tax assessment every year. That is the only way to be sure you’re not paying more than your fair share to make up for undervalued commercial property, which shifts a greater share of the burden onto residential taxpayers. Homeowners who don’t appeal are also underwriting the savings of those who do. That’s because the system relies on the appeals process to ensure that assessments are fair. If you don’t appeal, you are likely paying more than you should, regardless of when your property was last assessed. Making sure you are not paying more in property taxes than you should means staying on top of key deductions and deadlines for appealing, which vary by township. Are You One of the Many Homeowners Paying Too Much? If you think you may be paying too much in property taxes, you may be right. 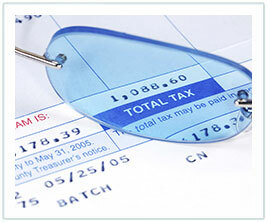 Contact us for a free, no-obligation review of your tax assessment. We use a proprietary algorithm to identify the most relevant properties in your neighborhood for comparison and can tell you, usually within 24 hours, what we estimate your expected savings would be on appeal. There is no obligation to use Kensington to file your appeal, no matter what we find. If we do find grounds for a significant reduction of your assessed value, we can assist you with your appeal(s).